Phil Garcia’s Approach to Strengthen Realism! Realism is a genre of tattooing that sometimes comes under fire as being graphically insubstantial and prone to aging poorly. 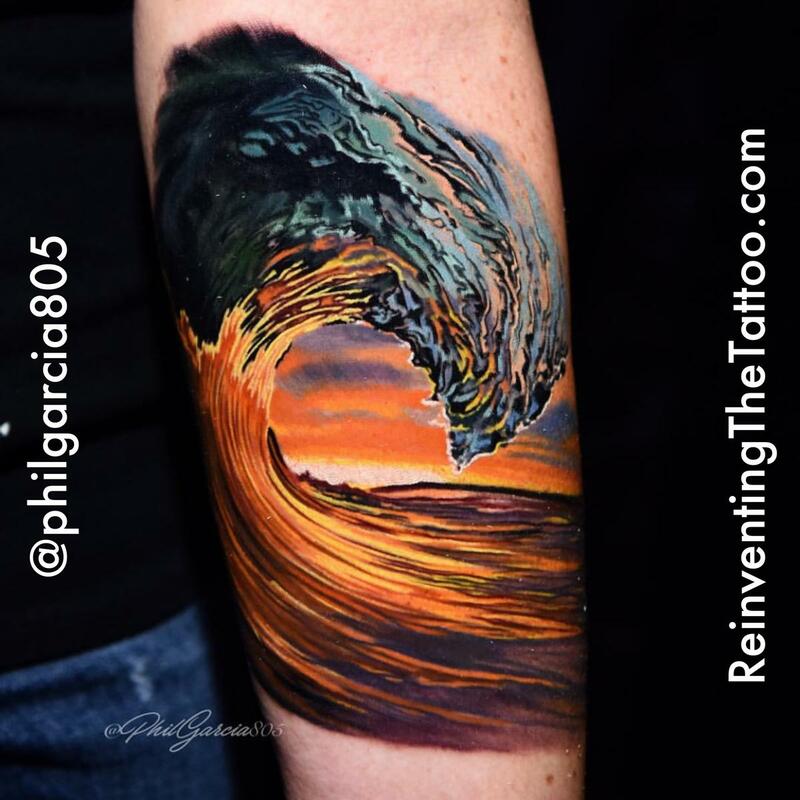 @philgarcia805 has enough of a background in traditional tattooing to appreciate the need for a strong foundation, which is demonstrated here in this adaptation of a @clarklittle photo. Phil carefully interprets his photo references in such a way that strengthens and clarifies the image to give it more clarity and longevity. In this example he has chosen a wave photo that has excellent contrast, giving the piece plenty of value range and allowing for a strong black foundation despite the no-outline approach. You can read more about how Phil optimized this image for skin in the Lines&Edges chapter of your ReinventingTheTattoo.com subscription, along with Phil’s guest writer chapter, Attention To Detail.